340 years ago today, an attack by a band of English colonists killed over 200 people and ended Native encampments at Peskeompskut. This week’s lead story provides details on upcoming events to mark this anniversary. 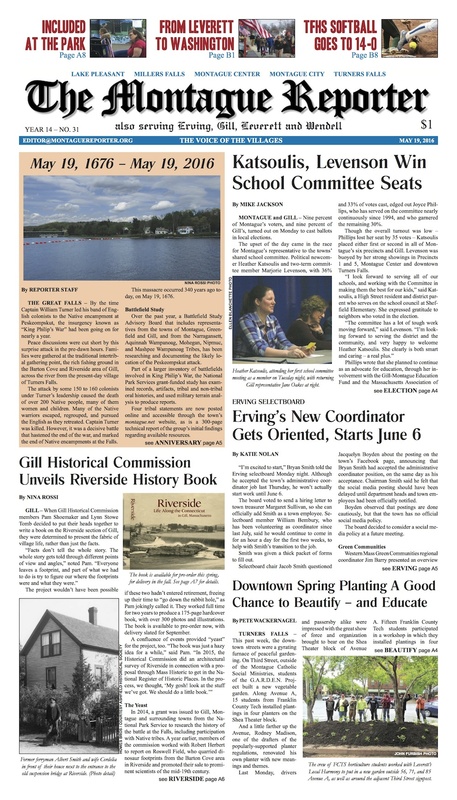 Plus: Gill-Montague school committee election results and updates; notes from the Erving, Gill, Leverett, and Montague selectboards; updates from Montague on noise and planters; and Part VIII of Eye on Town Finances. Our editorial looks at troublesome (and illegal) practices surrounding prison birth; an outgoing GMRSD School Committee member reflects in a guest editorial; and solid waste is the theme of this week’s letters to the editor. And, a new book about the history of Riverside is now available for pre-order. MoRe: From Rhubarb to Smirkus, a young performer goes on tour; beloved local laundromat fashion show undergoes a redesign; we celebrate Leverett’s historic districts and follow along on the Walk for a New Spring; the Gardener’s Companion takes one step forward and two steps back; and strings come to the Shea. 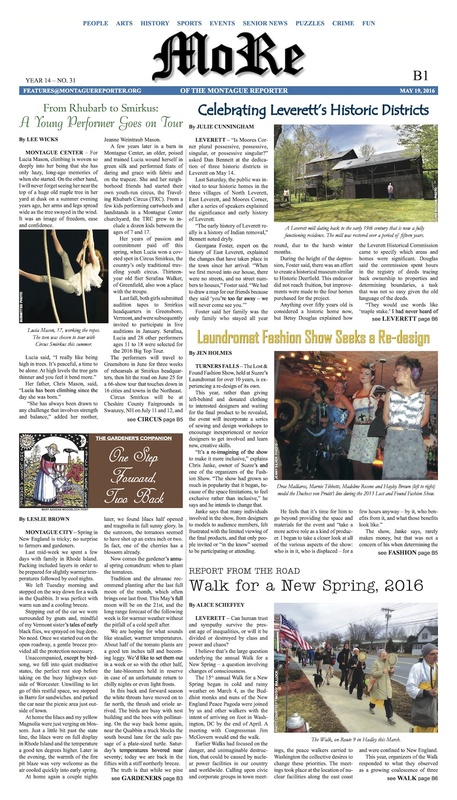 We’ve got Part II of Turners Falls Goes to War, our look back at locals’ experiences in the Spanish-American War; another interview with a farmers’ market-goer; a one-eyed Pet of the Week; a look back at the week in TFHS softball; the Healthy Geezer discusses adult-onset epilepsy; police logs from Montague and Gill, and a delightful assortment of arts and entertainment listings and reviews. On newsstands now!